When it comes to a trademark, the most important step in the protection of a trademark is selecting a trademark that can, in fact, be protected. Choosing your trademark carefully is the essential first step. If you choose wrong, you will pay dearly. Not only will you pay in money, but in time and energy, especially if you have invested in significant marketing. You Will Pay on the Front-end or the Back-end. The cost of cleaning up a mess is always greater than doing something right the first time. If you choose a trademark that cannot be protected, your application will most certainly be denied before you can pass GO. For example, certain trademarks can never be protected by law, e.g., generic trademarks, and scandalous trademarks. 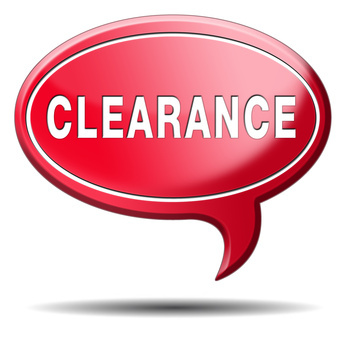 The second most important step in the trademark protection process is clearance–doing a comprehensive trademark search to determine if the mark can be registered. Yet, as important as this step is, many folks avoid doing it. Why? One reason may be cost. The cost of investing in a trademark search is not cheap. It can range anywhere from $300-750, plus the cost of analysis (having a lawyer tell you what the voluminous search report actually means). But avoiding those costs on the front end can create greater costs on the back end. If you don’t do a search and someone else is already using the same trademark, your application will likely be denied by the United States Patent & Trademark Office (USPTO). Their reason: your mark is likely to be confused with an existing registration or a pending application trademark. When should you do a search? Collaborate with someone on a project involving content or brand creation. Until next time, I’m Attorney Francine Ward helping you protect what’s yours! Join my conversation on my Facebook Law Fan Page, Twitter Law Page, in one of my LinkedIn Groups, or in one of my Google+ Circles.